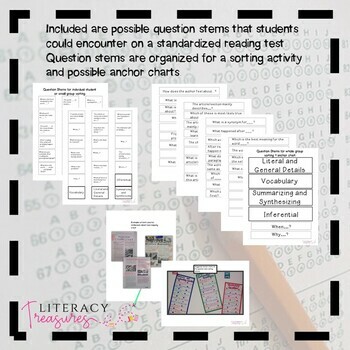 The intention of this Unit of Study for Reading Test Preparation is not to bore and overwhelm children with a Testing Boot Camp, but, rather to prepare them for the kinds of reading they will see on a standardized test. 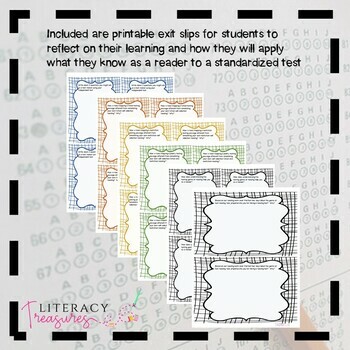 Children must still have thoughtful and explicit comprehension instruction right before the test. 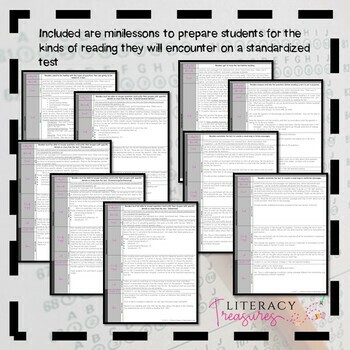 Reading does not stop, however we do have to work in some time to teach children what to expect on a standardized reading test. Reading this type of text takes careful reading and intention. It is a reading genre that students must understand. 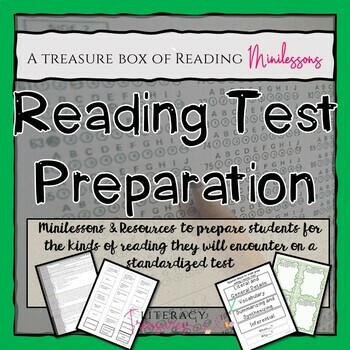 Included in this unit are 10 minilessons designed to help students understand the genre of standardized reading. This product is also part of my Reading Workshop Curriculum Bundle.